Playout metrics enable digital media network operators to record the proof-of-play of content items within a media zone in a sign. Recordings can be set to always be captured or set to a scheduled time period. You can generate a report to display the proof-of-play between specific time periods. Select the desired sign channel. Click the Edit tab, select the desired Media Zone widget. Check the Playout Metric in the PROPERTIES section. Click Apply, and exit the Widget Properties window once done. 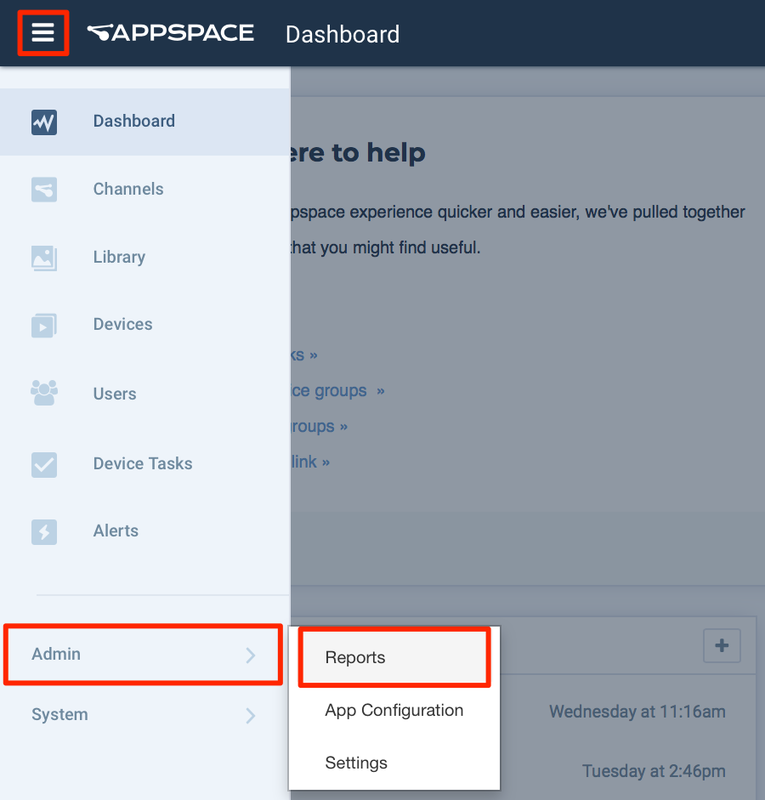 Click Admin > Reports from the Appspace Menu navigation bar, and click the Proof of Play Metrics tab. Content items will only be listed once the player is fully in-sync with the Appspace server. Click the Generate Report button, to generate and export the report in *.xls format. The report is automatically downloaded into your default download folder. Your devices are required to have the channel running for at least 24 hours before the report data is available.